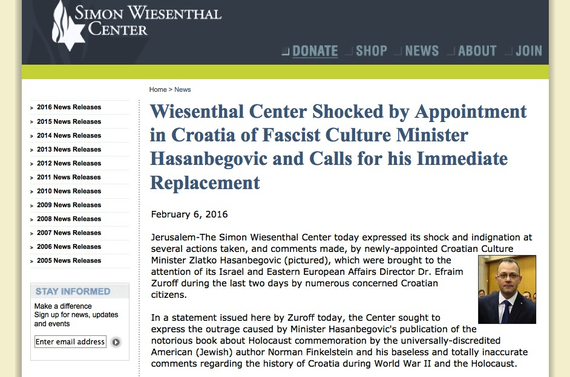 The Adriatic Institute for Public Policy and International Leaders Summit are joining Israel-based The Simon Wiesenthal Center and international groups calling for the resignation of Croatia's HDZ-Most cabinet minister Zlatan Hasanbegovic. Zlatan Hasanbegovic, known for denying genocidal character of Ustasha regime which collaborated with Nazis during WWII in then-Croatia, taking photos while carrying pro-nazi signs, and publicly praising Nazi Imam of WWII SS troops as a reformer, was appointed Minister of Culture of Croatia's new HDZ-Most right-of-center coalition government on January 23, 2016. This came as no surprise to most of Croatia's citizens who have been muted, first by HDZ (Croatian Democratic Union) Tudjman's nationalist, authoritarian and corrupt regime in the 90s, and then decades of fraudulent elections in which the worst got to the top. Croatians have succumbed to the state of affairs where rampant political corruption and organized crime co-exist and thrive together. The rule of law has been subverted. With HDZ taking over Croatia's presidency in January 2015, and an unreformed HDZ headed by Tomislav Karamarko coming to power through a coalition government in January 2016, it is clear that international pressure is needed more than ever. In a recent piece published by the EU Observer, the author stated the following about Karamarko, "He's a former head of Croatia's intelligence service, whose time in the job was marked by mass-scale surveillance of journalists and by human rights abuses." 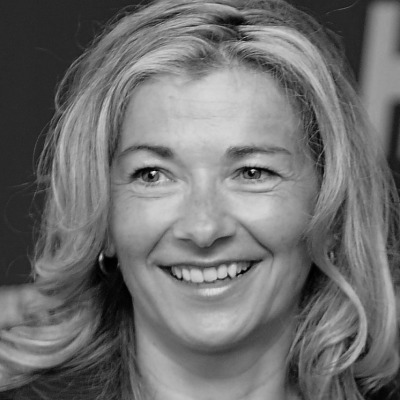 In a speech, after the presidential election results were announced in January 2015, Kolinda Grabar-Kitarovic promised to continue the legacy of late President Tudjman, founder of HDZ. What kind of legacy? Right after Tudjman's death in 1999, Guardian published Tudjman's known statement, "Tudjman was grateful, he told supporters, that he was married neither to a Serb, nor a Jew." 1. Croatia lies on the Balkan Route, used by organized crime and terrorists, for arms, drugs, human trafficking and organ trafficking, and terrorism financing. Kalashnikovs from the Balkans were used in the Paris attacks of January 2015. Croatia was selling arms to Syria via Jordan in 2013. Croatian passports have been given to Balkan criminals. 2. The coexistence of organized crime, rampant political corruption and unreformed intelligence structures - combined with absence of independent law enforcement and judicial bodies (police, prosecution and courts) to enforce the law. 3. Rising nationalism is reminiscent of the 1990s. 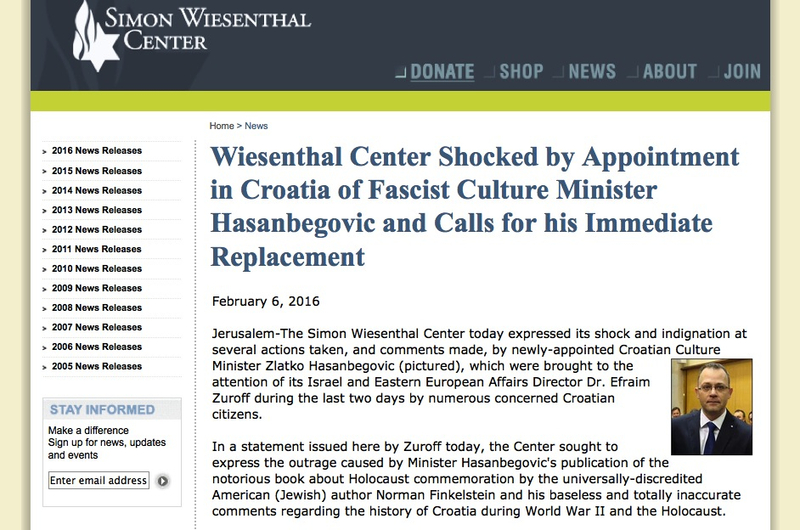 In one year, Croatia has deteriorated, culminating with the appointment of a cabinet minister, known for his anti-Semitic views, to the Ministry of Culture. HDZ-Croatian Democratic Party's authoritarian and corrupt rule must be stopped.